Welcome to the Obaika Racing Team platform, where you are sure to get the latest juice about the world of NASCAR. From the drivers practice runs and expectations to race-reactions, results and the entire thrill, you are sure to be kept glued to this page as we bring you the best of NASCAR. 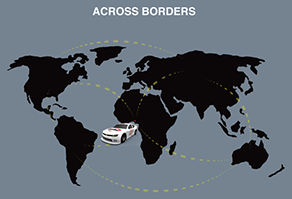 We at Obaika Racing are daring the odds and creating something which has not been created before – a cross-cultural connection between the exciting world of the NASCAR and Stock Car sports fans from outside North America. This promises to be a thrilling experience for those who do not have a clue as to what NASCAR is all about. In no time you will have a guru’s understanding of the sport. So sit tight, fasten your seat belts, and get ready for a ride you won’t forget in a hurry! Watch out for our next post. And follow us on all our social media handles for real time experience!